Our legendary local fly fishing waters include the Big Wood River, Silver Creek, the Little Wood, Warm Springs Creek, Copper Basin, Trail Creek, Wildhorse Creek, and the Big Lost River – each has unique scenery, character, challenge – and diversity enough to keep an angler engaged for a day, a season, or a lifetime. Visit the pages below to learn about these unforgettable local waters and book a trip with Sun Valley Mountain Guides to take you there! Click here to view the USGS Current Conditions for Idaho Streamflow. The Big Lost river system epitomizes the mountain fly-fishing experience. A very secluded and quality fishery, ‘The Lost’ is undeveloped and surrounded by spectacular mountains, abundant wildlife, and diverse wildflowers. Just over Trail Creek Pass (east of Ketchum) the Lost originates on the remote east slopes of the Pioneer Mountains and works its way into the Big Lost Valley. From the upper freestone reaches of Copper Basin, Wildhorse Creek, and the North and East Fork tributaries all the way to its treasured tail waters below Mackay Reservoir, the Big Lost really has it all. The Lost tends to yield uncommonly large trout relative to the size of river. The largest fish (rainbows) will be found below Mackay Reservoir and will be found up to and beyond 25 inches. Above the reservoir twenty-inch fish (rainbow and kokanee) are not uncommon but the 14-17 inch range is the norm. In the upper tributaries, 11-15 inch rainbow, cutthroat and brook trout are most common, but bigger fish are up there. Excellent bug life exists on this remote river. Above the reservoir the hatches commonly run parallel with or just a little behind the upper Big Wood River. This means a smorgasbourd of dry fly action for fly-fishermen. Stimulators, Hoppers, various Mayflies, Caddis, Stoneflies and other attractor patterns (to name a few) can be successful. Below the reservoir a slightly more technical fishery emerges where sight nymphing is common. In addition, various dry-fly opportunities (Salmon flies, Cicadas, Mayflies and Hoppers) present themselves throughout the summer. If the environment or the adventure is just as important as the fly-fishing, the Big Lost is for you. Even a slow day on the Lost is a memorable experience. This vast river system is located in remote country. It winds through private, BLM, and National Forest land. To experience the Lost safely, efficiently, and effectively hire a Sun Valley Mountain Guides’ guide for a Full Day fly-fishing outing. It will definitely be an experience to remember! THE ULTIMATE SUN VALLEY FLY-FISHING EXPERIENCE! Silver Creek is widely recognized as North America’s premier spring fed fishery. Primarily flat and crystal clear water, Silver Creek offers anglers the opportunity to view and stalk the densest population of trout for a river of this size in the United States. Make no mistake however, Spring Creek is considered graduate school for fly-fishermen and women and will challenge even the most experienced angler. ‘The Creek,’ however has certainly yielded its share of trout to the novice fly-fisherman as well. The Fish: Rainbows comprise about 70% of the trout population and are usually found in the 14-17 inch range. Bigger rainbows are not an uncommon catch and will grow well into the mid-twenty inch range. Even bigger than the rainbows, the brown trout (the other 30%) are most frequently caught in the 5 and 6 pound range. However, bigger browns can be found and are landed at 9 pounds and more!!! Catching one of these ‘pigs’ on the required light weight leader and tippet is a thrill that will never be forgotten. Angling Tips: It’s all about the bugs… and Silver Creek boasts an incredible variety of hatches. Ever changing daily frenzies of Mayfly hatches include the Creek’s legendary Brown Drakes (June), Tricos (July), and Mahogany Dunns (September) among others. Damsels, Hoppers, Beatles, and Caddis scrape the surface of other favorite menu items. Without forgetting your nymphs, one thing is certain; Silver Creek is one of the most interesting and challenging dry fly fisheries anywhere. Throw in Idaho’s high desert dreamlike setting and Silver Creek represents the essence of fly-fishing for many. If there was ever a river to bring a guide on, Silver Creek is it. Take a trip to Silver Creek with one of Sun Valley Mountain Guides’ experienced guides and you will leave a better angler and fulfill the dream of many an angler to fish in Ernest Hemingway’s favorite fishing spot – Silver Creek. The Little Wood is probably the most overlooked and therefore under-fished river. Emerging from the south end of the Pioneer Mountains the Little Wood River meanders through picturesque meadows and beaver ponds and into the Little Wood Reservoir. From there it flows through Carey farmlands until it confluences with Silver Creek and becomes a unique ‘freestone spring creek’ in a desert environment – ideal for fly-fishing! The upper stretches require a variety of short casting techniques where willows and deep cut-banks hold hungry rainbow, cut-bow, and brook trout. Most fish are in the 9-14 inch range. This peaceful stretch of river is a great way to relax and manages to offer excellent fly-fishing opportunities. Typical central Idaho dry flies such as Parachute Adams, Royal Wolfs, Red Humpies, Hoppers, and Stimulators work well. Below the confluence with Silver Creek, the Little Wood holds very big brown trout and rainbows. This unique spring fed freestone creek flows through a desert environment usually best fished in June (Streamers) and then again in late September and October (Hoppers). Although fly-fishing can still be good year-round here, avoid the heat and rattlesnakes of summer time. The Little Wood truly offers a unique and diverse fishing adventure. As an added bonus, another angler is rarely seen here. 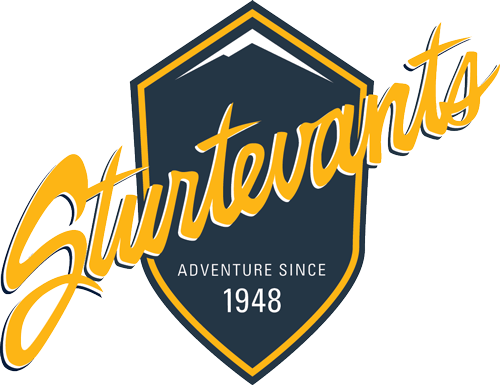 Local knowledge goes a long way here so reserving a Sturtevants Mountain Outfitters guide is certain to enhance your fly-fishing experience. Could you ask for a better back door fly-fishery? We don’t think so. The Big Wood is a classic western freestone river with a healthy population of wild trout. 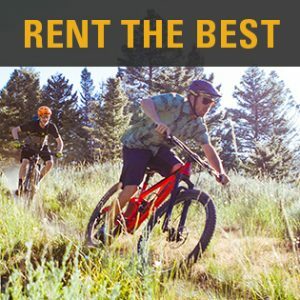 With waters originating in the Smokey, Boulder, and Pioneer Mountains, the Big Wood runs through Ketchum, Hailey and Bellevue and into the Southern Idaho desert. Offering breathtaking views ‘The Wood’ has miles and miles of excellent riffles, pools, and pocket water with great fly-fishing access along the river’s entirety. A great place for anglers of all abilities, the Wood rewards the committed beginner yet challenges even the craftiest veterans. The Fish: The Big Wood primarily holds rainbow and cut-bow trout as well as nice browns in the lower stretches of the river. Fish are generally caught in the 12-20 inch range and the catch rate can be very high if you find the right hatch. The Big Wood is not stocked so expect hard fighting wild trout. Angling Tips: In the summer, teeming hatches of mayflies, stoneflies, and evening caddis are standard. The trout are frequently excited by big dry flies such as stoneflies, hoppers, and stimulators providing an exciting style of fishing. Other favorite dries of fly-fishermen include the Green Drake, Parachute Adams, Western Quill, and Royal Wolfs. Streamers and nymphs can also be very effective. Winter Angling: The Big Wood is also a very productive winter fishery. In addition to nymph and streamer opportunities, Big Wood trout feed on dry flies throughout the winter months. For a truly unique experience, have a Sun Valley Mountain Guides guide show you the river during the winter months. It is hard to beat a hot summer day fly-fishing and wading the Big Wood.Developing, honing, or mastering your skills with the eager trout of the Wood is truly a great experience. Throw in convenience, a beautiful mountain to desert setting and you will see why we love our back door fishery. Reserve a day (or evening) with Sun Valley Mountain Guides on the Big Wood and discover what an amazing river it is! Warm Springs Creek, the North Fork and East Fork of the Big Wood, and Trail Creek are all productive and fun freestone tributaries to the Big Wood. Each of these rivers offers great opportunities to ‘get away’ and find healthy populations of trout in scenic settings. Rainbows and brook trout can be found and are normally 8-15 inches. Don’t be surprised however if you happen to catch an 18 inch rainbow in a deep pool. These rivers are a great place for novices and kids. They also make for an ideal environment to learn the basics of fly-fishing with Sun Valley Mountain Guides.